It is possible to save the retrieved info in image or html format. You can also email and print it if you like. Since this tool is portable, you bring it with you on your USB removable media. 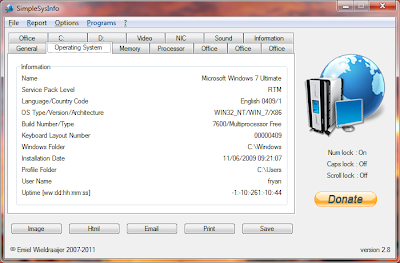 It works with Windows 2000, XP, Vista and Windows 7. 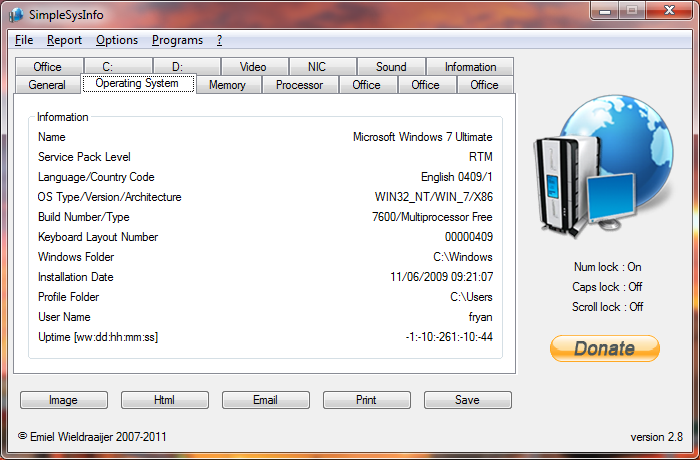 I tested it under Windows 7 x86 version.